A hand-crafted album of 18 original archival inkjet photographs with letterpress text, contained in a custom redwood box. 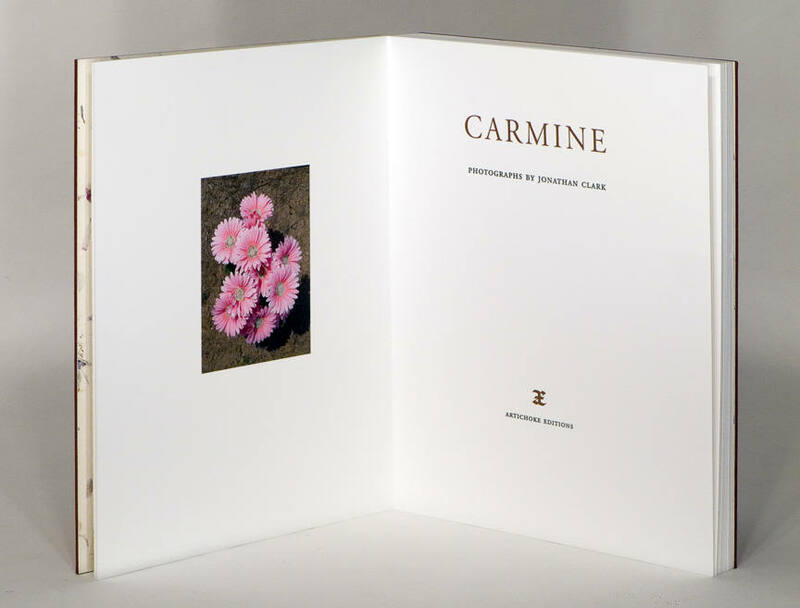 This beautiful book was designed, printed, and bound by the photographer. Limited to 26 copies, the book measures 14 by 11 inches and is printed on Somerset all-rag paper. 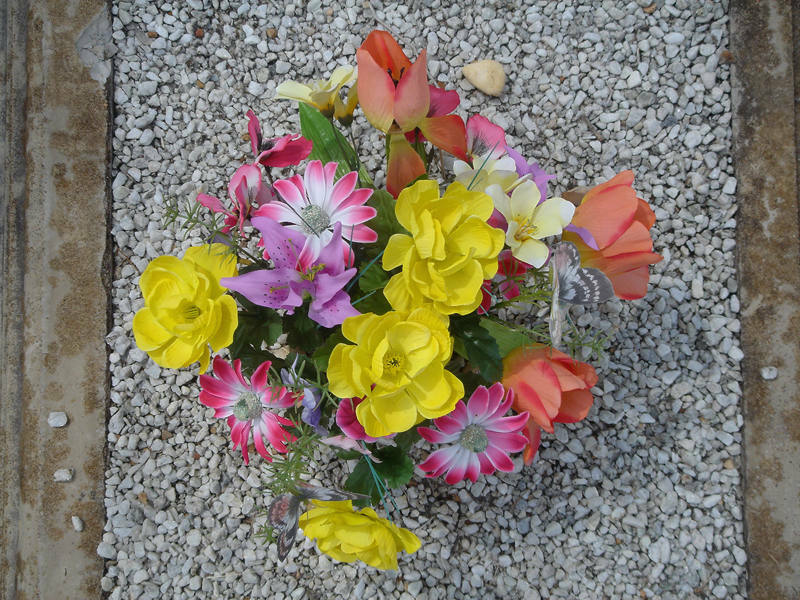 "In Carmine the hot Texas sun beats down relentlessly on the dusty graveyard. Silence and the imperceptible passing of time draw me closer to those resting in the red earth, and remembrance stretches to the far horizon. As memory merges with the sparse grass underfoot, the blazing false flowers defy for a moment the sense that time has slipped away without a trace. Do they fool the departed as well, in the endless radiant days of Carmine?" The edition consists of 26 press-lettered copies, bound in the style of a traditional Japanese album, with cloth covers and paper label. Contained in a two-piece box handmade from salvaged old-growth redwood, each copy is signed, and includes an additional signed print of an image not appearing in the book. 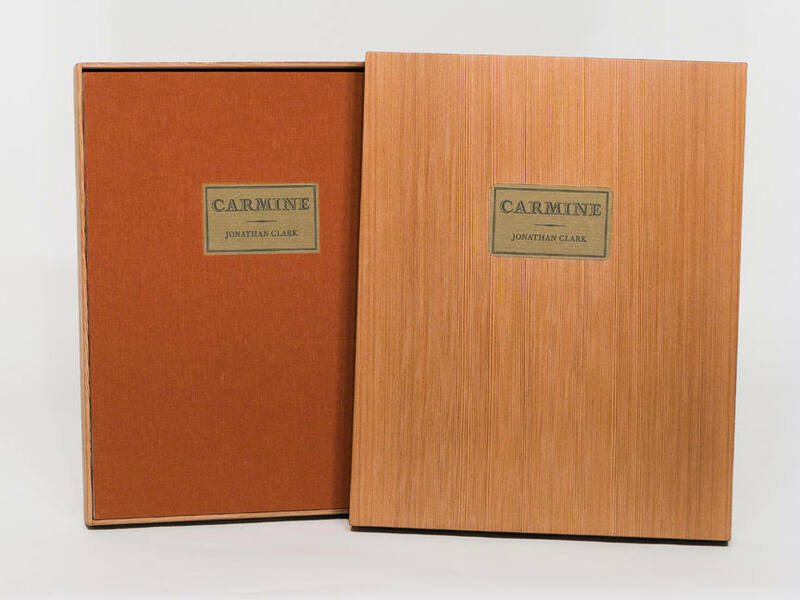 Carmine can be found in the collections of the Amon Carter Museum of American Art, Fort Worth; Stanford University Libraries Special Collections; and other public and private collections. To purchase, please inquire about availability.